(TechXplore)—A trio of researchers with Northwestern University has found vulnerabilities in the North American electrical grid by creating a simulation using real data. In their paper published in the journal Science, Yang Yang, Takashi Nishikawa and Adilson Motter describe their simulation, what it showed, and why they believe it could be used by electrical planners to prevent future network outages. Raissa D'Souza with the University of California offers a Perspective piece on the work in the same journal issue. Over the past century, advanced countries have become increasingly reliant on electrical power—in more recent times, very nearly every person in a given area is impacted if the power goes out due to reliance on electricity-consuming computing devices. Scientists have increasingly looked at ways to prevent power outages, particularly the kind that impact a lot of people at the same time. Such outages are usually due to cascading events in which a localized outage puts strain on another part of the network, causing it to go down, and so on. 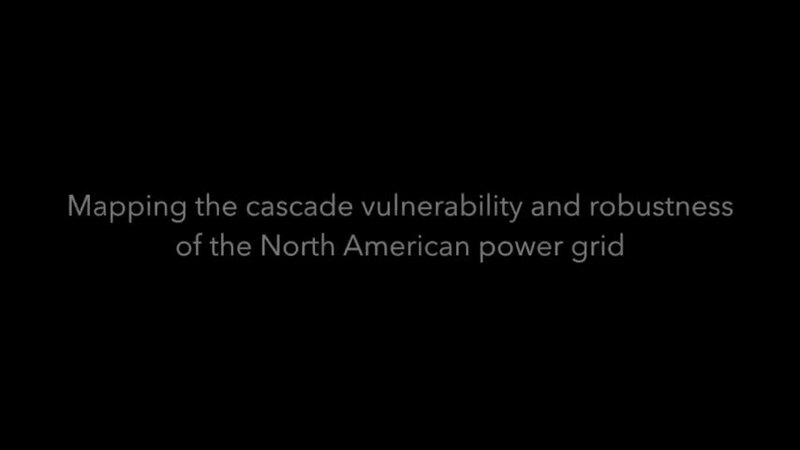 In this new effort, the researchers sought to model the North American power grid to learn more about its vulnerabilities. To create an accurate assessment of the North American power grid, which includes the U.S. and most of southern Canada, the group obtained data from the U.S. Federal Energy Regulatory Commission for the years 2008 to 2013. They used that data to create a model showing the entire energy network with all of its 100,000 plus power lines. 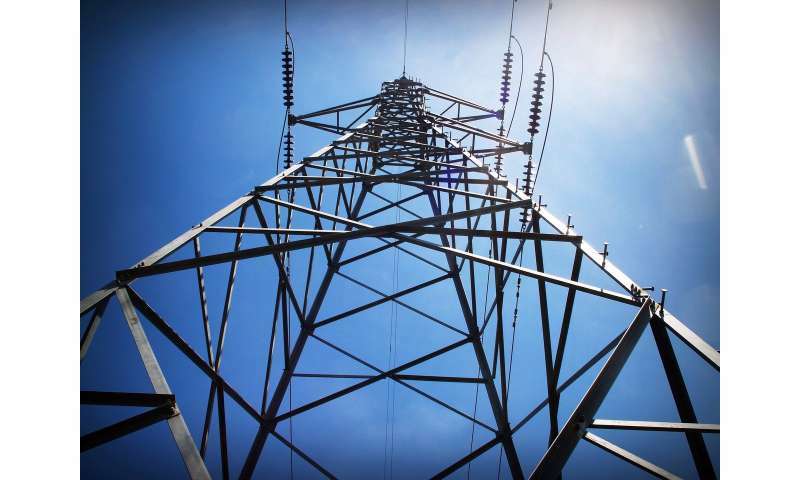 In looking at their simulation, the team found that the network is not as vulnerable as many have feared—they found that just 10.8 percent of all transmission lines in the network were vulnerable to failure due to cascading events. Less surprising, they also found that approximately 85 percent of all primary failures (ones that could trigger a cascading event) were located in just 20 percent of those parts of the network deemed vulnerable—just 2.16 of all links in the system. They noted further that the most vulnerable parts of the system were located close to big urban areas. The team suggests that putting more effort into reducing cascading vulnerabilities into just a few parts of the network could dramatically reduce the chances of any part of the network experiencing a major cascading event. The understanding of cascading failures in complex systems has been hindered by the lack of realistic large-scale modeling and analysis that can account for variable system conditions. Using the North American power grid, we identified, quantified, and analyzed the set of network components that are vulnerable to cascading failures under any out of multiple conditions. We show that the vulnerable set consists of a small but topologically central portion of the network and that large cascades are disproportionately more likely to be triggered by initial failures close to this set. These results elucidate aspects of the origins and causes of cascading failures relevant for grid design and operation and demonstrate vulnerability analysis methods that are applicable to a wider class of cascade-prone networks.